During Thanksgiving week, the National Weather Service forecasts low humidity and gusty winds to continue Monday in parts of California, but rain chances to increase in California by Wednesday. 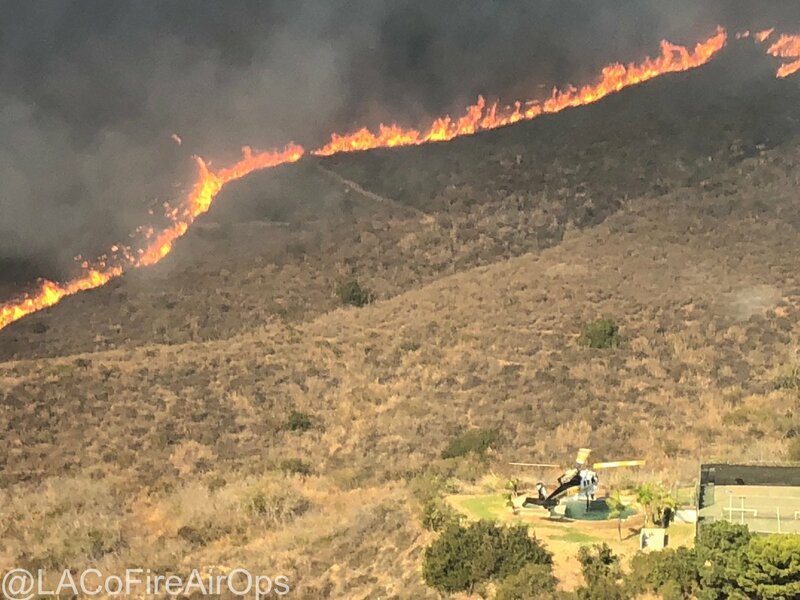 Woolsey Fire at E Street and Alfa Road, south of Simi Valley (Ventura County). 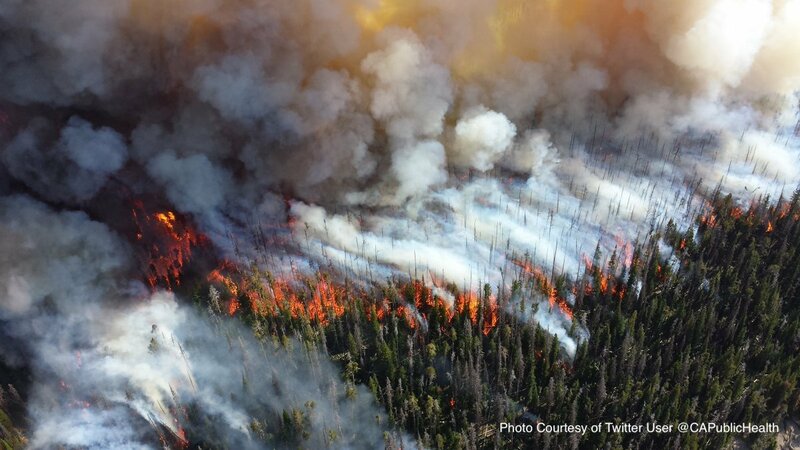 Last Friday, this fire was 35,000 acres. 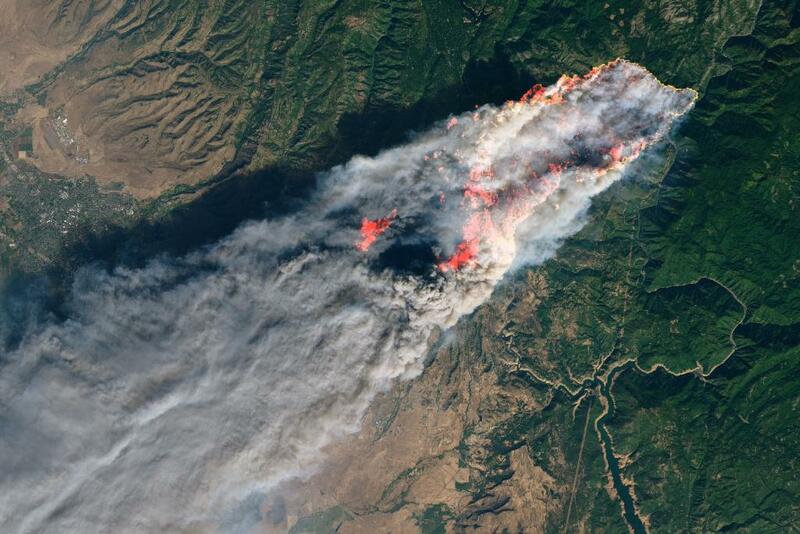 The view from space of the #CampFire threatening several towns in California. The Camp Fire is north of Sacramento. California firefighters are getting help from other states. Nevada, Utah, Colorado, Arizona, New Mexico, Texas, Washington, Oregon, Idaho, Montana, Wyoming, South Dakota, Missouri, Indiana, Tennessee and Georgia are sending firefighters to battle the latest outbreak of wildfires in California. The wildfire death toll continues to rise. At least 42 people reportedly were found dead in their burned homes or cars in northern California. The wildfires also have forced more evacuations across the state, NBC News reports. On Monday night, evacuation orders were lifted for Thermalito and the Westlake/Thousand Oaks areas. Authorities warned residents to exercise caution as they return to their property, to beware of hazardous conditions, current fire conditions, road closures and utility outages. 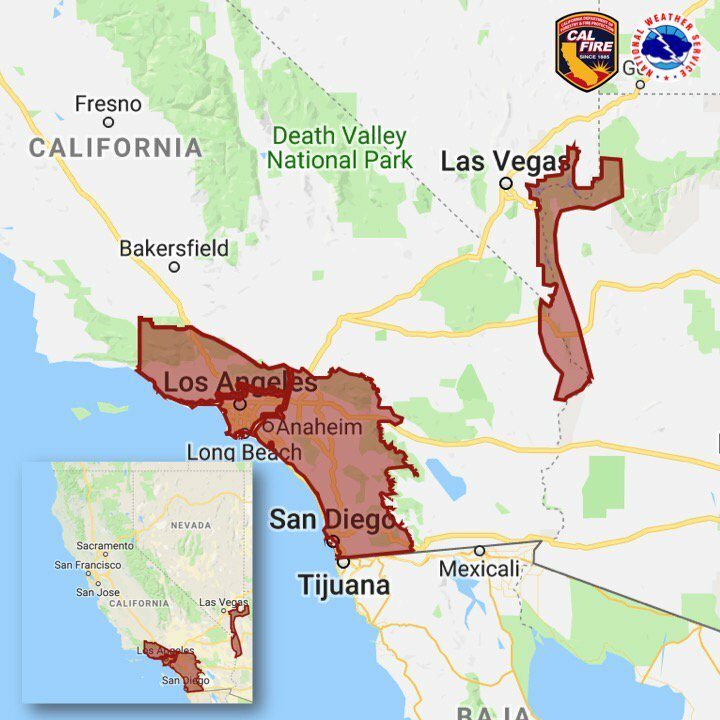 A red flag warning also is in effect in Southern California, including San Diego, Tijuana border and Las Vegas, Nevada through Wednesday. “I just approved an expedited request for a Major Disaster Declaration for the State of California. Wanted to respond quickly in order to alleviate some of the incredible suffering going on. I am with you all the way. God Bless all of the victims and families affected.” President Trump tweeted Monday night. At least 9 people have been killed from during the latest wildfires in northern California and thousands have been forced to evacuate from 2 fires in the Los Angeles area, NBC News reports. The Los Angeles Sheriff Office tweeted mandatory evacuations in the Topanga Canyon area. This entry was posted in Asian Community Alert, National News and tagged California Wildfires 2018, California Wildfires November 2018. Bookmark the permalink.